The sky is calling. Answer the call. If you are already a pilot, you vividly remember that first time your instructor throttled back and announced “You’ve just lost your engine!” Even though you had already discussed what to do many times that initial shock is there. Perhaps a little anxiety or even a full panic. What do I do first? Can I make it back to the runway? Should I try? If not, can I really land in that small field I see below me surrounded by tall trees. For an airplane pilot this is an emergency. For a glider pilot it’s something we practice on every flight. For an Private Pilot add-on glider rating to be be added to your pilot certificate, FAA requires you to have 3 hours of flight time, including 10 glider flights. For an Commercial Pilot add-on glider rating, you need 3 hours of flight time, including 20 glider flights. Most will be with an instructor, learning the skills needed to fly solo and to pass your checkride. 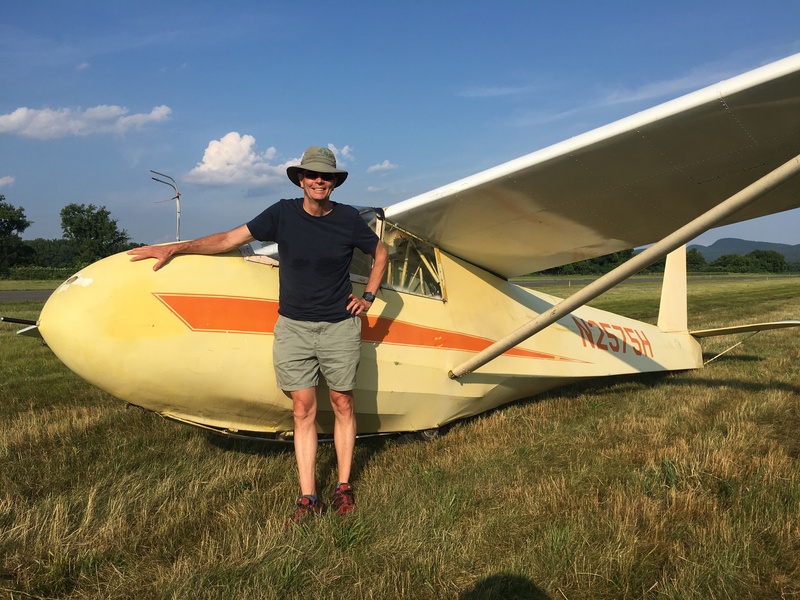 Sport Pilots may add glider privileges to their certificate for most gliders without a checkride. Since flight instruction is free there is no pressure to hurry the process. You pay only you membership fees and the cost of the tows. At Mohawk Soaring, we take pride in our ability to create smart, safe, and confident pilots. Learning to fly a glider will make you a safer, more confident pilot in any other aircraft you fly. Mohawk Soaring Club – Let Your Spirit Soar.